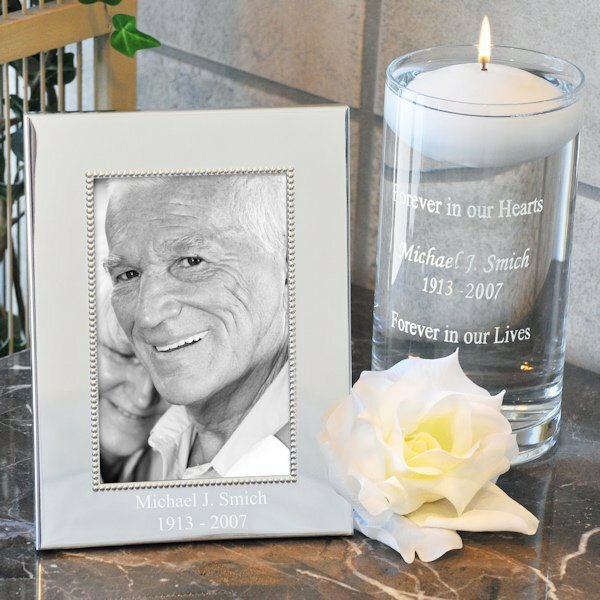 Our Floating Memorial Candle & Frame Set is an honorable way to remember your loved ones on this very special day. 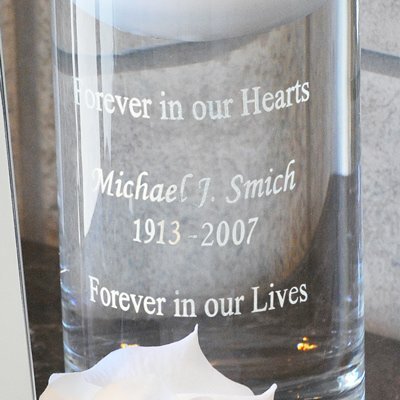 Featuring a wide glass vase with the words "Forever in our Hearts... Forever in our Lives" engraved across the front. The silver frame is complete with a beaded detail and sleek lines. 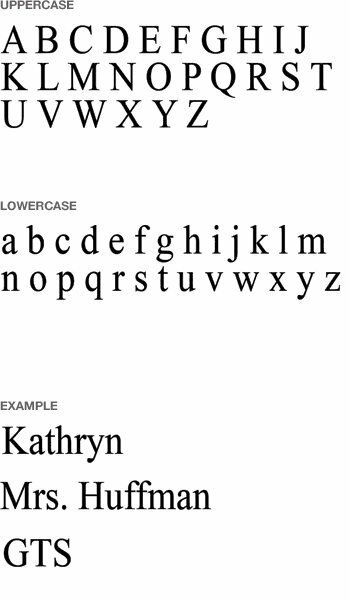 A personalized name and date may be engraved on each piece (24 characters per line maximum), placement is as pictured. This set may be displayed in your home after the ceremony as both a lasting tribute as well as a cherished keepsake. Vase measures 9.5 in. H x 4 in. W. Frame measures 7.5 in. x 5.5 in. It holds a single 4 x 6 inch photograph. Please Note: Hand blown glass may contain small bubbles. Wax candle included.